Amandla Stenberg is redefining what it means to be an actor and activist. At only 17 years old this actor, known for her role as Rue in the Hunger Games, has used her voice and talent to speak out on cultural appropriation, encourage girls in the STEM fields, and embody characters who diversify the stories being told about Black girls. We are inspired by her dedication to use her platform to speak out on important issues! Reagan Gomez is a well-known television and voice actress. You may have first grown to love her in the hit TV show The Parent Hood but she has since grown up into an seasoned actress, podcaster, director and content creator. This AfroLatina has been RedefiningHERstory and slaying! Check out her newest web series called Surviving at reagangomez.com. Brittani Sensabaugh is travelling across America and photographing predominantly Black communities that the media has chosen to forget about. Through her photo series, she wants to give voice to those that feel voiceless and create a dialogue of shared experiences in the black community. 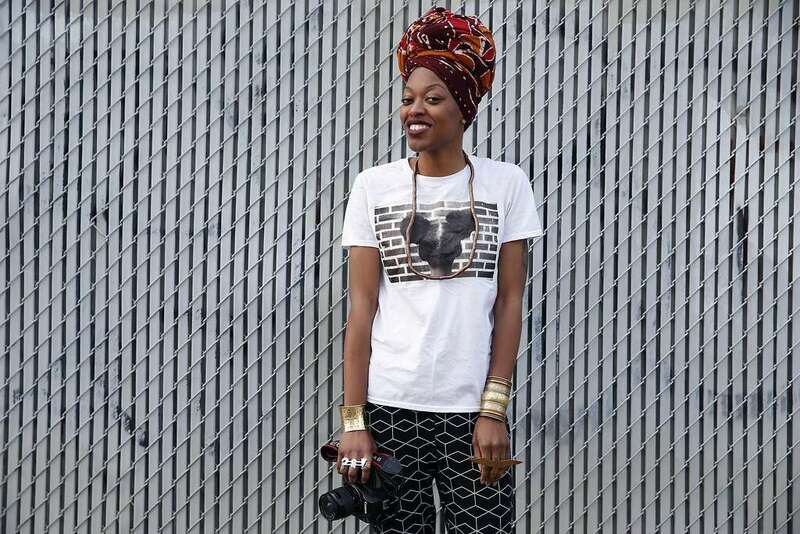 This photographer is making waves of change and #RedefiningHERstory through her camera lens! Pia Glenn is an actress, writer, content creator, and comedian. She created a lot of buzz for her Youtube channel where she made people laugh with her social commentary on episodes of the “Black Weekend Update” and other videos. Ms. Glenn exudes #blackgirlmagic everywhere she goes and is actively #RedefiningHERstory in her own unique, fly way! Sasha or @For_Revolution is well known on Twitter for her inspiring words of love, affirmation, and pro-Black women love. She is also a phenomenal photographer and businesswoman. This woman has skills! Although she can make anyone look beautiful, Sasha specializes in maternity shoots, children, and portraits. You can check out her work here: greentangerinephotography.com, @tangerinephotos on Twitter, or @greentangerinephoto on IG. The Redefining HERstory Documentary aims to change the media representation of Black and Afrolatina women. To support the Crowdrise Campaign to fund the production of the documentary, click here.